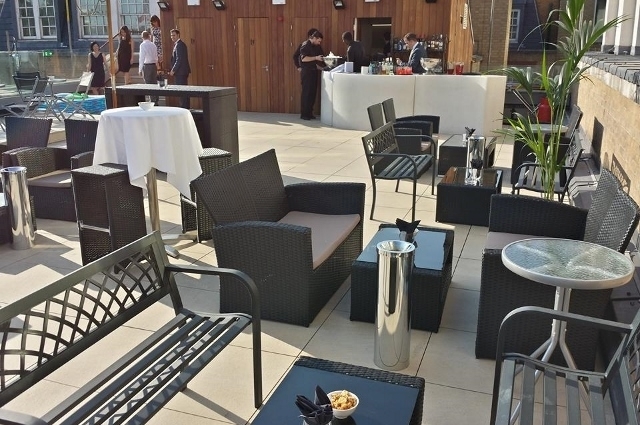 I recently wrote a blog post about the rooftop terrace at city bar Madison, which is brilliant if you work in the city. But what about if you want to meet friends in central London this summer? Unless you’re a member of a club like Soho House or Century or have cash to burn on booking a fancy hotel suite, there isn’t a huge amount of choice in London. 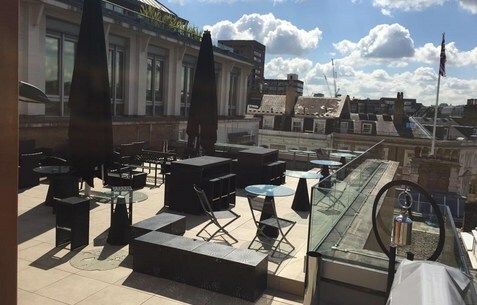 Thank goodness then for the Soho Sky Terrace, which has just re-opened at the Courthouse hotel on Great Marlborough Street. 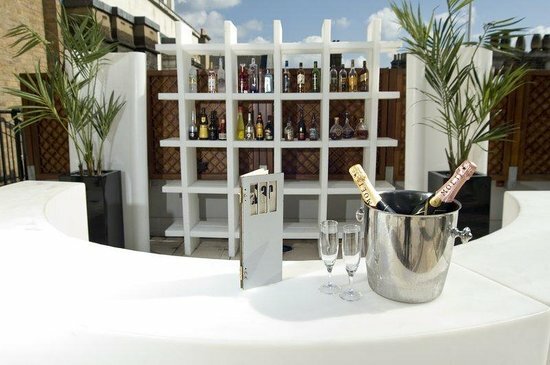 This is ideal for the shopping havens of Oxford Street and Carnaby Street, but may we suggest shopping and then relaxing with some drinks? The killer combination of strong cocktails with a view that makes you feel on top of the world may encourage some irrational spending! Browsing the bar menu, I learned this hotel and bar has a long history when it comes to VIPs. The Great Marlborough Magistrate’s court set the scene for many famous court cases including Mick Jagger defending himself against cannabis possession and a court case involve John Lennon and sexually explicit drawings. Take a sip of a martini (there is a long martini cocktail menu) or a little Champagne and let your mind wander to think about the celebs that visited the place in the past and those that will visit it in future. After a few drinks you may feel like dancing, which is when you’ll fully appreciate the location of this venue. Libertine, DSTRKT at Cirque le Soir are all just a few minutes walk away and these are all great for celeb-spotting. So how can you get into this wonderful watering hole in the heart of London? If you want to guarantee a table you can book one for a minimum spend (details on the Courthouse Hotel’s website). BUT tables are available on a first come, first served basis. It opens at 3pm so get there early and watch the sun set with a glass of something cold! Let us know if you visit. Tweet us @livelikeavip or tag us on Instagram – livelikeavip.